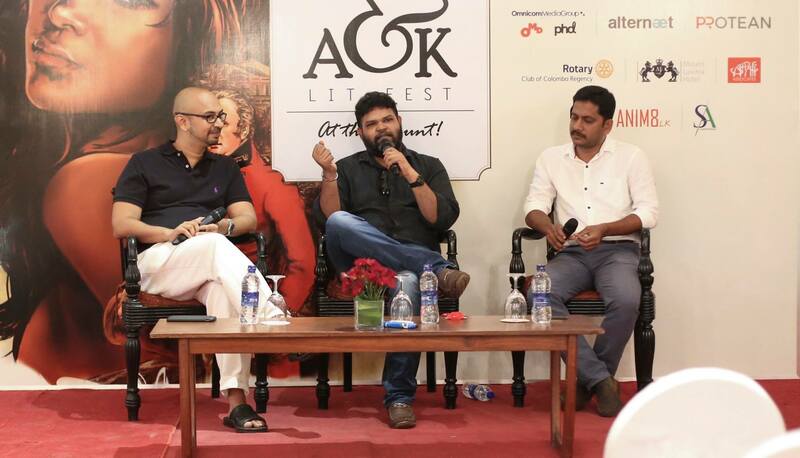 The A&K Lit Fest is set to be held on Sunday 21st October at the Mount Lavinia Hotel, with an interesting line up of panels and speakers. Commencing the morning are book launches and creative writing workshops for adults and children. The most anticipated panel would follow with Literature in Governance with Dr. Bandula Gunawardane, Imthiaz Bakeer Markar and Dr. Wijeyadasa Rajapakshe speaking about their experience in literature. Two of Sri Lanka’s popular cartoonists, Awantha Artigala and Gihan De Chickera, will take to stage with Preserving our Sanity, while Anoja Rajapathirana will present about writing with disability, and Sunela Jayawardene on her book The Line of Lanka. The new addition to the festival will be the screening of 5 short films by young local filmmakers, followed by a panel dedicated to the popular TV series Koombiyo. The virgin authors’ panel will take place this year too, giving a platform to writers who have published for the first time. The other diverse panels are Women in Literature, Science Fiction and Poetry Corner. 4 Corner Stone speeches will see speakers sharing tidbits on areas of their expertise ranging from writing, publishing and diplomacy. The festival conclusion will be dedicated to the venue, the Mount Lavinia Hotel with a performance of the Lovina story and conversation with Mohan Raj Madawala. Winners of the short story competition held parallel to the festival will be announced at the closing of the evening.